If you haven’t been convinced to join Twitter yet, comScore, Inc., a global leader in measuring the digital world, recently released a report on the international growth of Twitter. The numbers just may sway you to join the micro-blogging site. Almost 93 million Internet users logged in to Twitter.com from home or work in June of this year. This number marks a 109 percent increase from 2009. In addition, the country that reportedly held the highest penetration was Indonesia with Brazil and Venezuela close behind. There was a notable increase in the use of Twitter by smartphone users in the six international mobile markets analyzed by comScore -U.S., U.K., France, Germany, Spain and Italy. In the U.S. however, Twitter.com was visited by 8.3 percent of smartphone users (4.2 million people) whereas only 2.8 percent of users (1.7 million users) were accessing the micro-blogging service from their phones. In addition to these impressive numbers of new users and mobile users, Twitter has made it that much easier to share information through other websites. Beginning last week, websites like CNN and HuffingtonPost now offer a Tweet button alongside stories. This new feature will facilitate sharing news or interesting articles from many popular sites via Twitter. 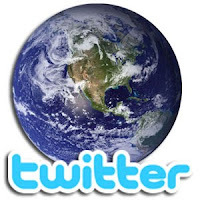 ThePRLawyer blog now proudly features a Tweet button as well. It's located on the top left-hand side of the screen. If there is ever a post that you particularly like, please feel free to use the tweet button and spread the information! To read more click on the links for the comScore report of Twitter users or the new Tweet button. Now get Tweeting!